The Hanoi cool foods for the Hot summer! 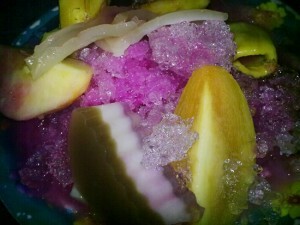 Home » Blog » The Hanoi cool foods for the Hot summer! 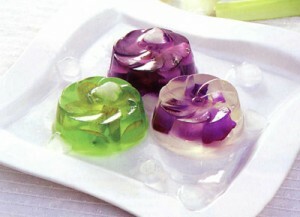 The summer has come, at this time people in Hanoi love to eat cool foods in reduce the HOT from weather. In this article, will show you some food that’s you must have them in your menu if you are in the North of Vietnam these days. Rau Cau is a food that everybody like it, the common Rau Cau in Hanoi is Coconut Rau Cau, coz coconut has sweet taste and good smell, easy to combine with jelly powder. You could find coconut Rau Cau in every drink shop or small street shops in Hanoi. in addition to coconut, Hanoi’s women use another kind of Rau Cau such as: Rau Cau with Flan inside, fruits Rau Cau.. that’s great in the HOT weather that you enjoy a dish of cool and beautiful Rau Cau. The light sweet of Che and cold from ice will make you forget the HOT weather. So in Hanoi, after the main meal. Family, friends and couple often go out to enjoy Che on the streets of Hanoi. Ice cream is not as common as Rau Cau or Che, but it still a favourite of people in Hanoi. 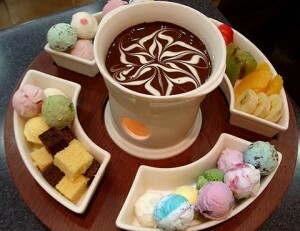 You can enoy fresh ice cream, cacao ice cream, fruit ice cream and fried ice cream. Why don’t you try to have a ice cream when it’s HOT. Near the countryside, so the fruits in Hanoi are often fresh and safe. In Hot days, everybody use fruits as the dessert after the meals or replace ice cream ( usually the fruits have many water in it ). That’s so awesome, if you have a fresh fruits! 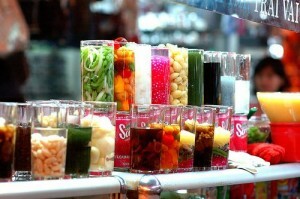 Vietnamese call Rau Cau as the Queen of cool foods, while Fruit juice call the Miss of drinks in summer days. 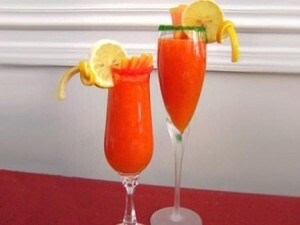 The fruit juices are made of fresh fruits such as: grape, coconut, apple, water melon.. and store in colorful cups. Vietnamese women love this drinks!